Recently got this question from one of my mastermind members about how to book Blue & Gold Banquets… here’s his Question and my Answers. Hope it helps you get work in a pretty large & lucrative market. I’ve really been getting into “The It Factor LIVE Boot Camp In A Box Program” (https://itfactorlive.com) and after hearing you suggest we focus on a “target market” – I found a market that I’m perfect for, Blue and Gold Banquets. My question is, my time is running out here to book blue & golds for this year. Can you tell me how I can get a mailing list of all the packs quickly? Or what can I do to get these sales letters in the hands of the pack leaders? 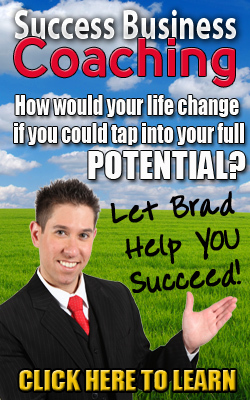 Glad you are enjoying the new “IFL Boot Camp in a Box” and actually applying it! It is so large and I think it kind of scares some folks. The only way to really see how easy and well the whole system works is to roll up your sleeves and get your hands dirty. Good for you for being a R.A.T. Real Action Taker.! Scout groups can be great to perform for. I did a ton of shows for cub scouts, boy scouts, girls scouts, adventure guides, etc. over the years. The money for scout type gigs can be great – typically more than a birthday parties or day cares, but not that much different by way of show content. PLUS, I always worked it into my contracts to be able to sell my magic sets after the show, should the scouts & their families be interested in learning more magic. That means extra income from each show you do. Finding the contact person is a little more difficult because it is typically volunteer run and the person in charge changes yearly. I really like the idea that YOU are a former scout. I am too and I certainly used that to my advantage and work it into the show. The leaders love it and so do the kids. 1. Your birthday party shows should produce a good amount of Blue & Gold’s. Keep your eyes peeled in homes for any scout activities, awards, etc. and then simply ask. You might say something like “I see your photo on the fridge from the Pinewood Derby. I do a lot of blue & gold banquets – have you guys ever brought in a magician? …. Also, you should use my tip about actually mentioning it in your show. It will plant the seed that you do them in the mind of your clients and they’ll think of you when the opportunity arises. This will, however, not help you out so much for this year – but something to do as an ongoing plan. Most packs hold Blue & Gold Banquets in February & even Early March, so you need these next few suggestions to get booking quickly. 2. Contact your area councils. This will take a bit more work but if you play it right, it will be more than worth your while. Most councils have what is known as a “Pow-Wow” at least once a year. Most of the ones are in January. You won’t have time for direct mail to work, so call the councils and find out who is in charge of the Pow-Wow and who is in charge of the Cub Scout Packs. These will very possibly be the same person. Now it’s time to turn on your phone script. Be honest and up front with them. Tell them you are a professional magician and a former scout and the you have designed a show specifically for Blue & Gold Banquets. Then ask them for help. How can you contact the packs in their area? They will have some sort of communication channel (hopefully a phone number or email) and you need to know what it is. And believe me, it will be different for each council. Reach out & connect. 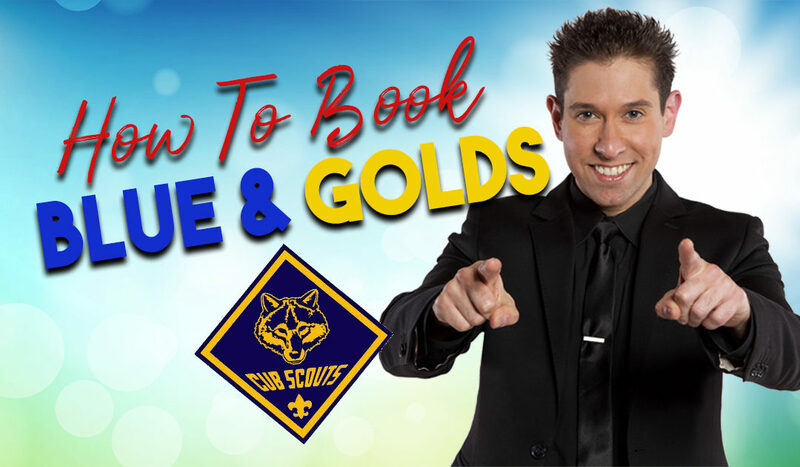 Tell each person you speak with that you are a professional magician and a former scout and the you have designed a show specifically for Blue & Gold Banquets. 3. Advertise in their flyers. This is what I did in many cases. They will most likely have some sort of newsletter that goes out to the council packs. You want to have something in that newsletter. I’ve had full-page ads, tear sheets and even free magic tricks in different cases. Just watch your costs! They will try to hit you up for as much as they can. LOL I would recommend keeping the cost below the cost of one show. Assuming the council is large enough and your ad copy is strong. 4. Volunteer your time! This has by far been my best resources for scouting shows. Because of this one technique, I was the ONLY magician recommended by my local council, and believe me, this was huge! The scout leaders are dying for ideas of cool things to do with the kids. You are cool. You’re a magician and even better, a former scout. You need to volunteer some time. I’ve worked with many coaching clients who also wanted to get more scouting gigs – so for one client we worked up a plan where he emceed two Pow-Wows and another client who offered to do walk-around at three different PowWow’s, all free of charge. The shows they got out of these “networking style” events were awesome and well worth the effort. Trade your services for ad space whenever possible. When I did advertising in the council’s flyers, I never paid. I would simply barter my services for full-page ad space. It’s such a win-win! They get great entertainment, I got great exposure AND advertising. How does this get any better? I’ll tell you how it gets better. Scouts are great! The organization has a lot to give and it does lots for kids. Beyond the Blue & Gold Dinners – there are so many possibilities for other events and even making connections for birthdays, schools, other family events. So when I say Run DEEP – the possibilities are endless for a long term relationships for many, many years! Keep in mind, Blue and Gold time is not the only time they’ll need you. There are summer camps, new member drives, fundraisers, Pow-Wows and more. But you don’t have to stop there. All of these kids will be having birthday parties. Who should they have at their party? DING DING DING… YOU! If parents are involved in scouting, chances are VERY good that they are also involved in other civic organizations. They are in the local elementary school PTA, they are involved in their church’s banquets and they have involved friends. Play this market right and you can stay busy year-round my friend. You may be a little late for this year’s Blue & Gold’s, but there is no reason why you can’t start reaching out to them now, and plant the seeds. Some won’t have booked yet and others will have other events coming up. My advice to you, call your local councils now! Get after it! Let me know how ya’ do. Do What You LOVE & Love What You Do!